Even before the drought, Californians were using far more water each year than the state’s water systems reliably supply. Over the last decade, state water agencies put this figure at about 10 million acre-feet each year—or roughly 20 percent of the total amount of water used by cities and farms. These numbers have climbed even higher in the last few years in some agricultural regions, where groundwater pumping has vastly increased in the absence of reliable surface water supplies. Californians have built a water system over the last century that—in good times—meets nearly every need in a state of almost 40 million people. But to make it last—especially in an era of climate change—businesses and residents alike must find ways to achieve a more sustainable water balance. This is the imperative behind the California Economic Summit’s One Million Water Challenge: Over the next ten years, the Summit has set a goal to conserve, capture, and re-use an additional one million acre-feet of water every year. The drought has exposed many of the shortcomings of California’s water systems—from the need for new storage facilities to new approaches for conveying water from north to south. But to make an impact on the state’s water challenges, the Summit may not have to wade into the state’s decades-long debates over dams or tunnels. Instead, the Summit action plan seeks to tap its coalition’s strengths by advancing next-generation efforts to manage water at the regional or watershed scale—promoting efforts to capture stormwater, replenish groundwater, reduce flooding, and improve water quality so every region can meet as many of its own water needs as possible. 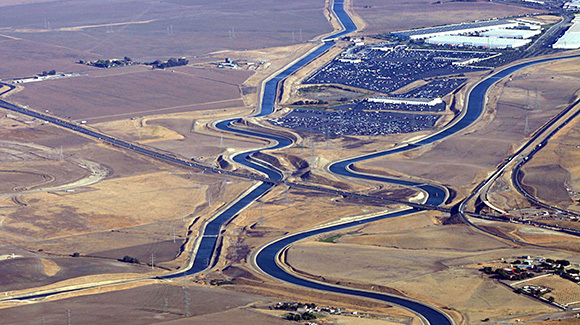 While the California Water Plan acknowledges the potential of this approach, the state still lacks the governance and finance systems to support these types of water investments. The Playbook details how the Summit can step into the breach in the year ahead by building on its recent successes in expanding regional resource planning tools and creating new local financing options that make it easier for local agencies to pay for—and integrate—their water projects. In the Playbook, the Summit outlines the daunting scale of this effort: Achieving the One Million Challenge will require identifying laws and regulations that prevent local leaders from pooling their resources to support effective water investments. It will require government agencies and regulators—and the public and other stakeholders—to collaborate at a deeper level than they do now. And it will also require increased involvement from businesses—and new technology—to accelerate conservation efforts and expand efficiency. But with its unique network of leaders from the public, private, and civic sectors in every region, it is a challenge the Summit may be uniquely positioned to overcome.